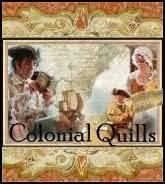 Colonial Quills: October New Release Tea Party! October New Release Tea Party! A good day to you, and welcome to the October new releases tea party! Because some of our locations are so far-flung and remote (see for instance this view, below, from Pinnacle Overlook at Cumberland Gap, Kentucky, with a view of three states), we're meeting a little closer to home for our party--the Raleigh Tavern at Colonial Williamsburg! But we can't wait to introduce you to some other beautiful settings! Please also join us on Facebook, 2-5PM Eastern, for more fun and prizes! 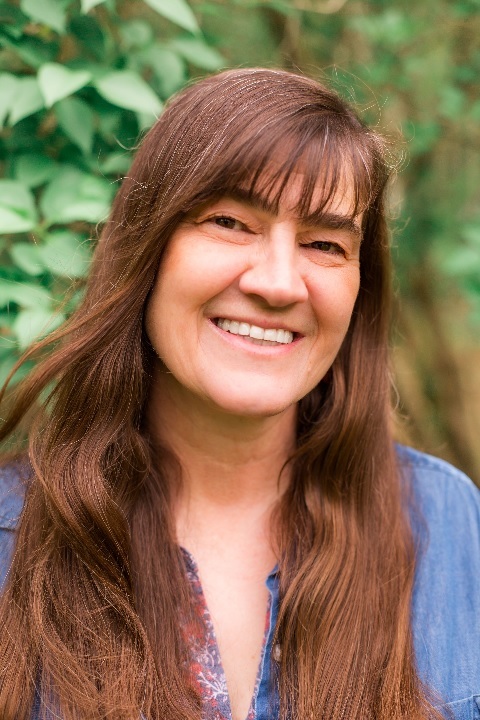 Shannon McNear is celebrating her first published full-length novel, The Cumberland Bride, #5 of Daughters of the Mayflower. 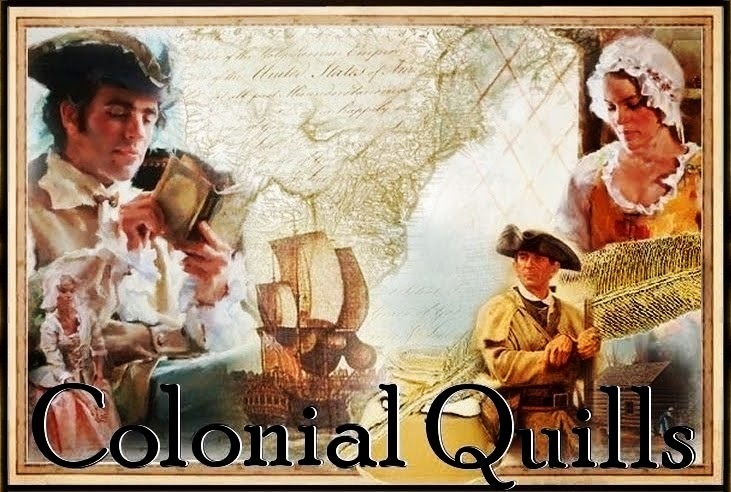 She became a contributor to Colonial Quills five years ago, not long after receiving a contract for her first novella, Defending Truth in A Pioneer Christmas Collection, which went on to be a 2014 RITA® finalist. The Cumberland Bride has more in common with Defending Truth than just being her first, however. 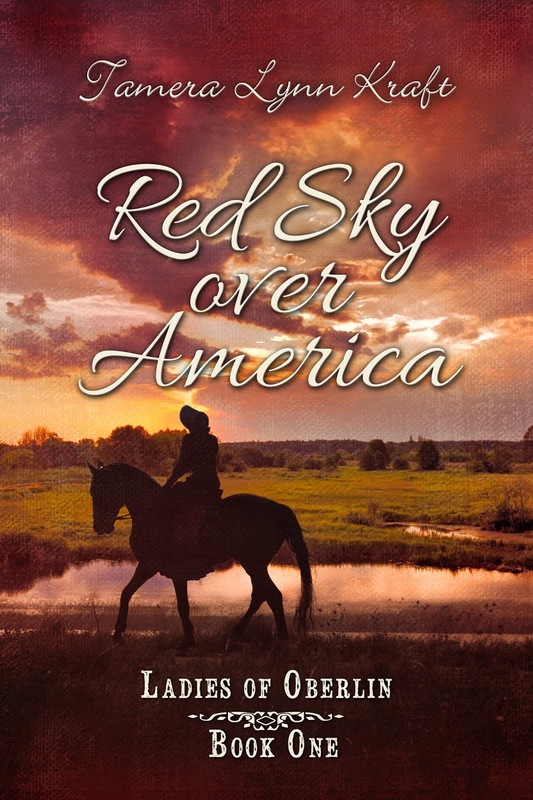 Fourteen years later, in 1794, Truth Bledsoe's younger brother Thomas is all grown up and has had more adventures than he cares to admit--and especially not to Kate Gruener, daughter of settlers traveling the Wilderness Road into Kentucky. As he guides her family and others through the Cumberland Gap and deeper into the frontier, he isn't sure that she'll even survive the journey. But will she discover a courage no one knows she has? Shannon is also giving away one copy of The Cumberland Bride to one commenter here on the blog. Naomi Musch is happy to present her new release, Mist O'er the Voyageur. 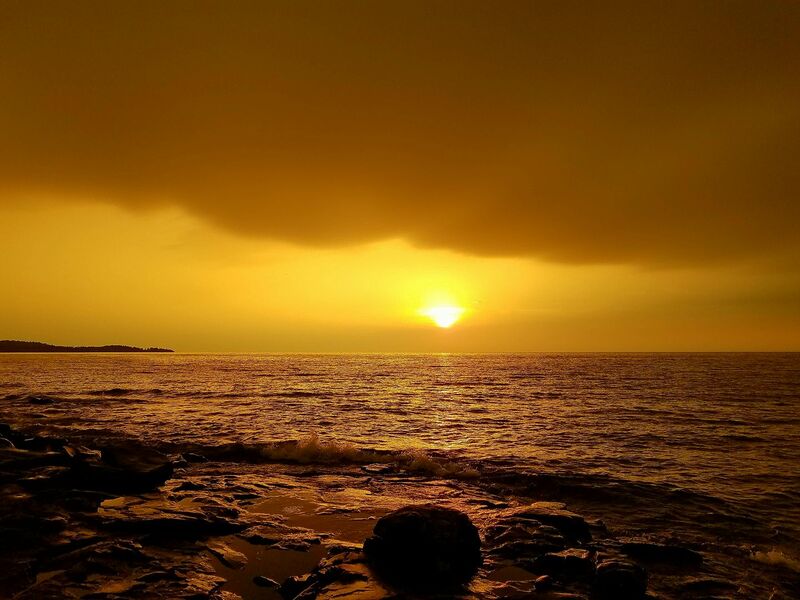 Speaking of far-flung settings, her story is set in regions around the upper Great Lakes, particularly Lake Superior, during the great fur trade years of the early 1800s. 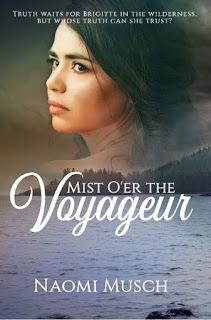 Mist O'er the Voyageur is the tale of a Brigitte Marchal, a Metis woman from Montreal who, in fleeing a cruel suitor, disguises herself as a young man and signs onto a voyageurs' brigade departing to the Upper Country. She hopes to find her long-absent fur trader father, but danger abounds, and as a woman alone, who can she trust in such a rugged, unfamiliar country? Mist O'er the Voyageur is available in paperback and ebook. Naomi will also be giving away a signed copy along with some book swag during Friday's party. Naomi lives at the head of Lake Superior, in the big woods near where much of the story is set. She loves connecting with others, and you can find her around the web. She also looks forward to sending friends occasional free reads through her newsletter, News of the Northwoods. 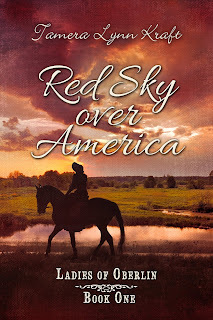 Tamera Lynn Kraft is celebrating the re-release of her novel Red Sky Over America, Ladies of Oberlin Book 1. Here's a little bit about it. William and America confront evil, but will it costs them everything? In 1857, America, the daughter of a slave owner, is an abolitionist and a student at Oberlin College, a school known for its radical ideas. America goes home to Kentucky during school break to confront her father about freeing his slaves. America's classmate, William, goes to Kentucky to preach abolition to churches that condone slavery. America and William find themselves in the center of the approaching storm sweeping the nation and may not make it home to Ohio or live through the struggle. Meet the Ladies of Oberlin, the causes they're willing to fight for, and the men who capture their hearts. Red Sky Over America tackles the most turbulent time in history with thorough research and fascinating characters. 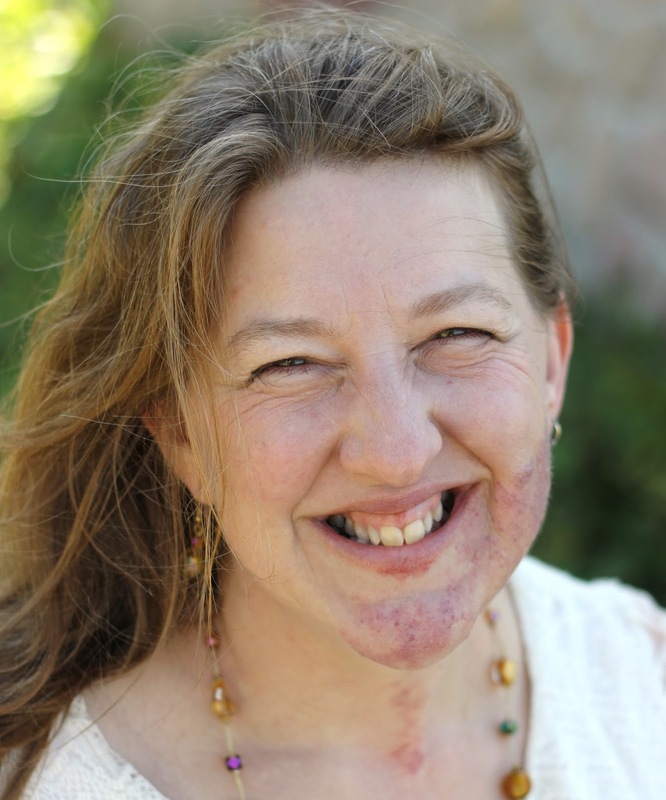 Tamera Lynn Kraft has woven a tale about the evils of slavery that should never be forgotten. -- Mary Ellis, author of The Quaker and the Rebel, The Lady and the Officer, and The Last Heiress. Thank you all for joining us! And don't forget the Tea Party on Facebook, 2-5PM Eastern! Good morning, our lovely readers! We have hot tea and coffee on the sideboard, with fresh scones, apple cake, and sliced oranges to refresh you from your journey. Would you prefer tea or coffee, with cream or sugar? A little Earl Grey with sweetener is my cuppa tea! English Breakfast with a splash of cream please. I would love a cup of English Breakfast tea. Thank you for your kind hospitality. Hot coffee and scones sound lovely on a chilly damp day here in Williamsbug. Oooh, those would be my choices as well! It was also chilly and damp this morning in North Dakota! Good afternoon ladies! It was a rather chilly ride from Maryland, so a cup of tea sounds delightful, with a touch of sugar please. I may try one of those scones as well. Congratulations Shannon, Naomi and Tamera on your book releases! Here you are, Mrs Tina! So good to see you, as always. And the scones are delectable! Blessings!! Congratulations on your new releases! It’s a cold and blustery day here in Pennsylvania. A hot cup of tea sounds wonderful! Cream and sugar with that? And what is with the weather? Fog here this morning as well. Thank you so much for stopping by, dear Kailey! Of course! I love fall, but I’m not ready for the cold yet. Have a great weekend! I am having a great time at the party. Thank you for taking the time to share with us about your books. Thank you so much for coming!! We're so glad to have you. Will you have coffee or tea, dear lady? Thank you all And Congratulations To all The Authors for your new Releases! oh yes I will take a plate of your refreshments Thank you for asking! Thank you so much for the awesome giveaway! Sounds so amazing! What a GREAT collection of stories! Thank you Naomi, Shannon and Tamera. Praying much success for these stories you've written as they bring joy to others. Thank you so much, Pat!!! These all look wonderful! I'm especially excited about The Cumberland Bride! Congrats to all! What a wonderful selection of stories! I loved The Cumberland Bride and certinaly hope to have the chance to read the other two books as well. Congratulations ladies! Don't they look amazing?? :-D Thank you!!! Congratulations on your new releases. Loved reading The Cumberland Bride. I need to start reading some of these !!! Sorry to have missed the party but thought I would pop over and say Hello ! I missed the tea party on Friday! I'm so excited about these books that are coming out! 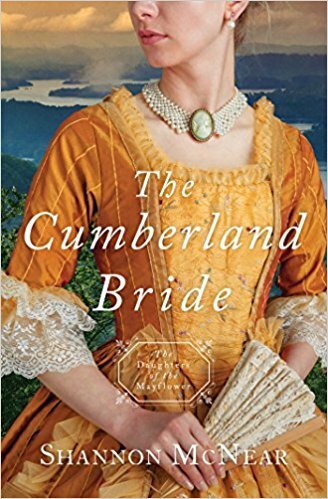 I asked our library to order The Cumberland Bride by Shannon McNear. I'm excited to read that series. I have the first couple of books from our library. Now I have a couple more books to add to my reading list. All of the books above look really great! I'm so sorry I missed the tea party! Avid. I just added another book to my list to look for. I've only read the Mayflower Bride, but I am looking forward to reading more in this series. Avid. Michelle Griep's is not to be missed, as well, Colleen! Such a wonderful read. <3 Thank you for coming by! Wish I had seen the tea party in time. I signed up for your mailing list so hope to know the next event. I have the first book in this series and would like to read more. Looking forward to seeing this book be available! Thanks for the opportunity to enter a giveaway! Would love to win a print copy! My email: krautter12ATbresnanDOTnet Avid. I’m sorry I missed the party, but work called. I loved the Cumberland Brides. Avid. Thank you so much, Perrianne!!! <3 We're glad you came anyway! Aww, I'm sorry!! But I'm glad you found it after all. :-D Thank you for coming! All three releases sound soooo good. I love when I can connect personally with the book, and all three have that. I am from Michigan and relatives live in Kentucky. I also attened a military school at Fort Campbell. I have been reading The Mayflower Bride books. Each installment has been great! I am an AVID reader. 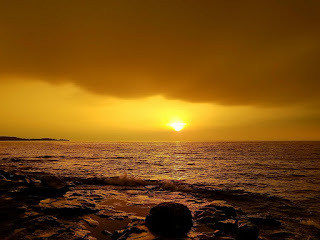 Thanx for your blog. Thanks for holding your tea party in colonial Williamsburg, I’ve never been. Congrats to each of you ladies on your new releases! Your book 'The Cumberland Bride' sounds amazing! I really want to read it! Congratulations on your first full length historical novel! This is another reason to love Avid Readers of Christian Fiction!